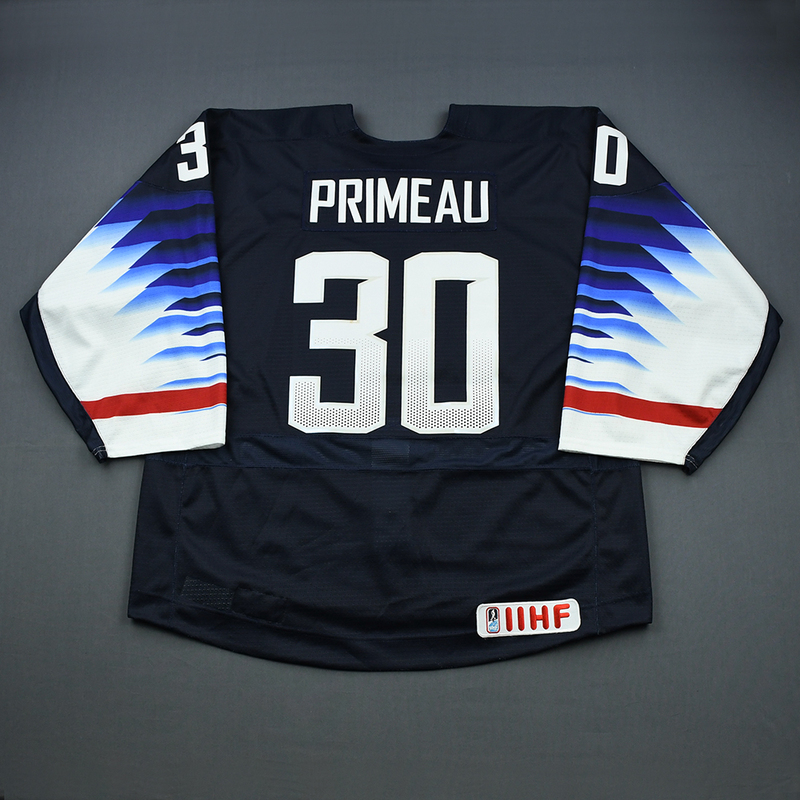 This auction is for the actual blue jersey used by #30 Cayden Primeau. 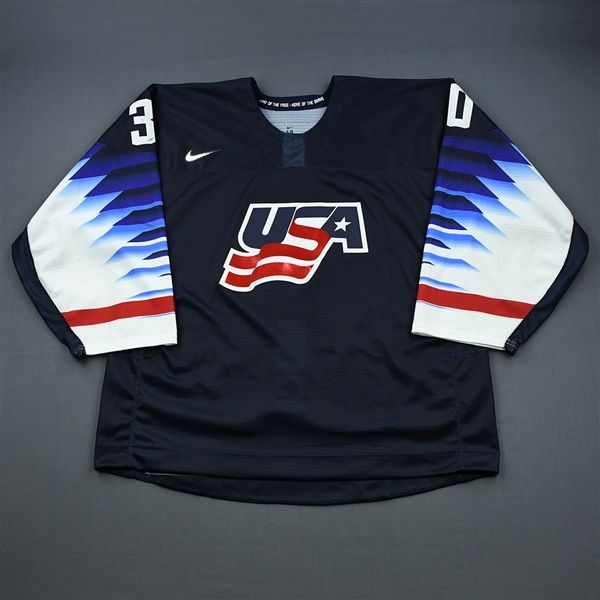 Primeau played in 5 games, one while wearing this jersey vs. Kazakhstan. Primeau currently plays for Northeastern University. He was drafted by the Montreal Canadiens in the seventh round of the 2017 NHL Entry Draft. Primeau's father Keith played 15 seasons in the NHL for the Detroit Red Wings, Hartford Whalers, Carolina Hurricanes, and Philadelphia Flyers. 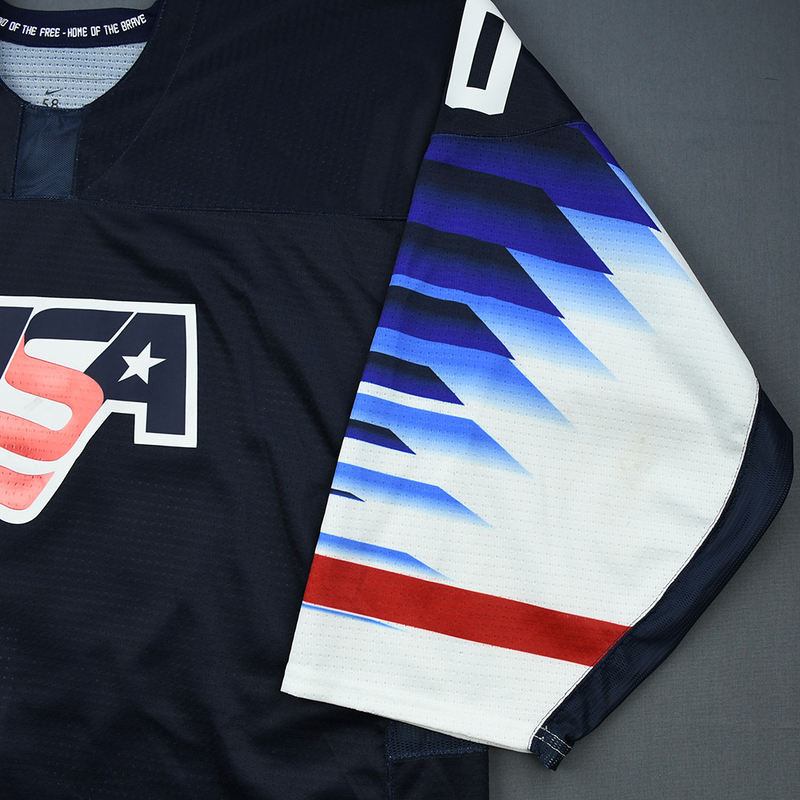 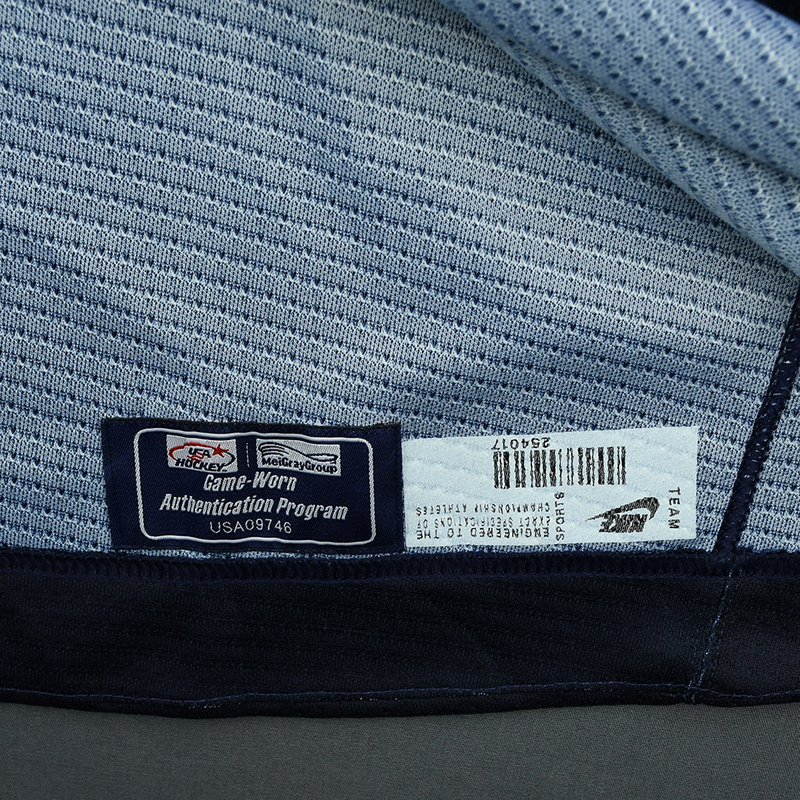 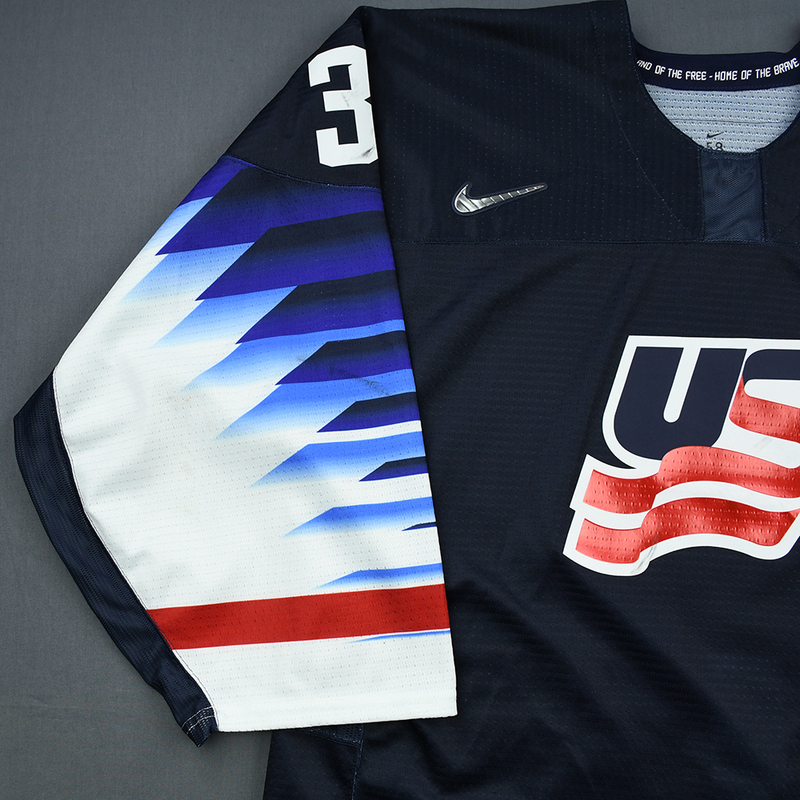 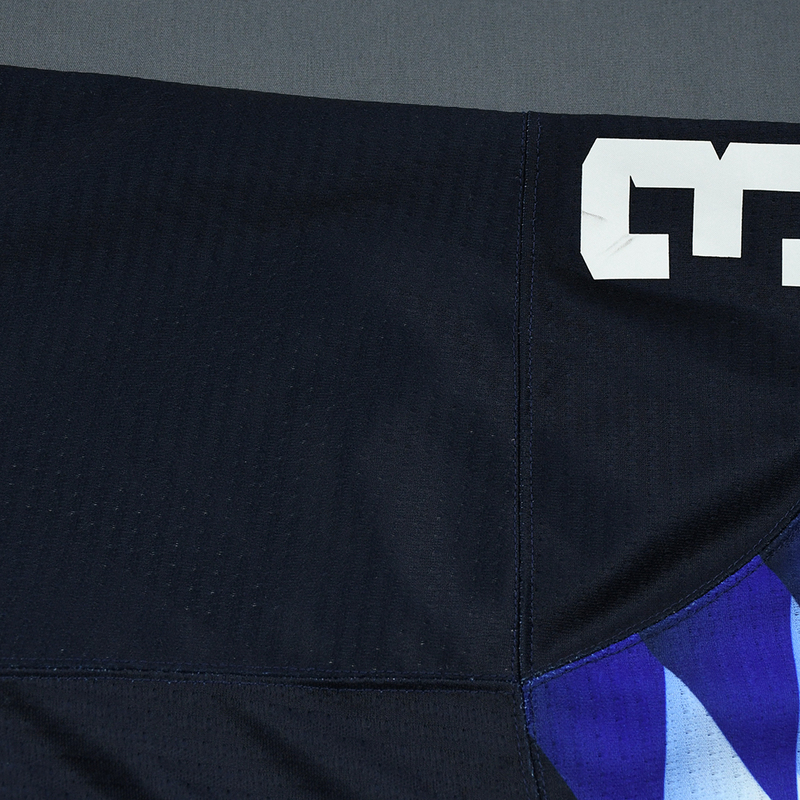 This jersey, a 58G, has been registered in the USA Hockey-MeiGray Game-Worn Authentication Program as number USA09746.